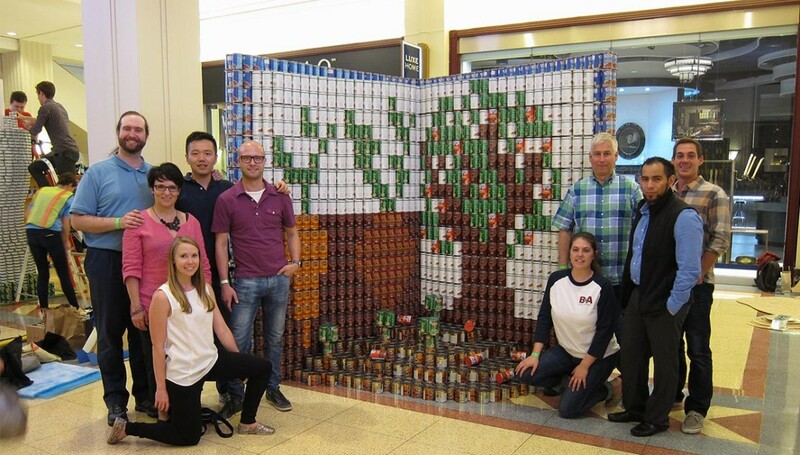 smdp took home an award for the second consecutive year for CANSTRUCTION in Chicago. smdp partnered with RATIO Architects, Bulley & Andrews, and Strean-Joglekar on a structure titled ‘Closing the Book on Hunger’ and received the Honorable Mention Award. The structure consisted of approximately 3,500 cans and stood over 7 feet tall. All of the cans collected from the 21 teams that participated in CANSTRUCTION were donated to The Greater Chicago Food Depository to help feed those in need in Chicago. For more information on CANSTRUCTION click here. For more information about The Greater Chicago Food Depository, please click here.